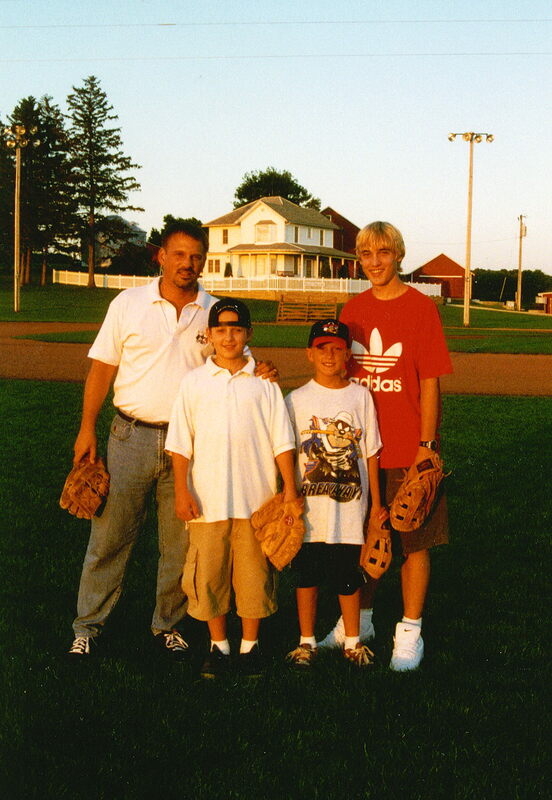 A few years ago, actually about 15…yikes!… the boys and I made a stop in Dyersville, IA. For those of the uninitiated, that is where the Kevin Costner film, “Field of Dreams”, was made. In the middle of nowhere…way out there…really, way out there. Sportsman’s Park. Busch Memorial Stadium. Busch Stadium. My “fields of dreams”. Last week I was reminded of that. Season opener. After a World Championship. Number 11. Special game. Special time. What made it more special, is that Tyler and I were there together. Opening Day 2012. Any game I attend with one of my sons makes it special. Any game with Diana is special also, but, there is something about going to the ball park with your son. Our National Past Time. A Field of Dreams…A Field of Memories. 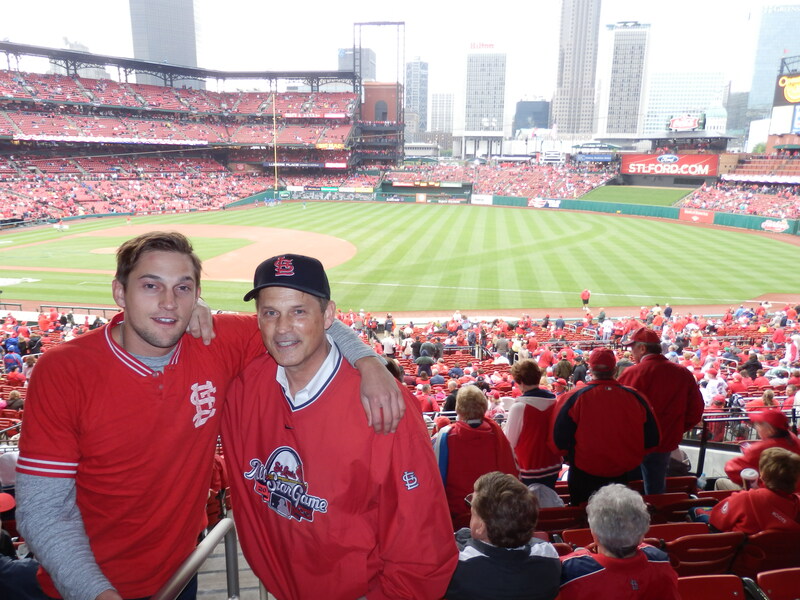 I recall games my Dad took me to at the previous two stadiums…Sportsman’s Park and Busch Memorial Stadium. And those “Ladies Day” games my mom took me to in the sweltering heat of the afternoon sun during the summer. My friend’s pop would take us to Sunday day games, sitting in the bleachers behind some “old guy” smoking a “white owl cigar” and talking to himself the whole game leaving about a pound of peanut shells. I can remember World Series games in 1964, 1967 and in 1968…Damn those Tigers. 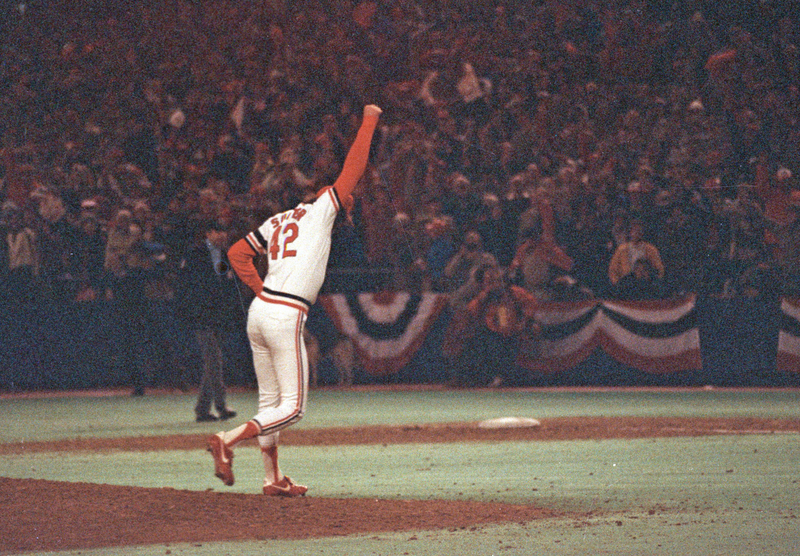 NLCS and World Series games in 1982 (during a NCLS game against the Braves there was a rain delay and Busch Stadium actually RAN OUT OF BEER! )…Bruce Sutter and Darrell Porter coming through against “Harvey’s Wallbangers” and in 1985 there was, “Go Crazy Folks, Go Crazy” with Ozzie and Jack “the Ripper” Clark and again in 1987 with the Twins…and that “horrible hanky and dome”. Back again in 2004…Damn Red Sox; 2006…okay I forgive the Tigers; and 11 in 2011…yes, I was actually there for game 6, and I can prove it…right Craig?!?! My first game, Stan’s last…Boyer…Flood…McCarver…Brock…Shannon…and Gibson fanning them all as he floated off of the mound…and Roger Maris making a curtain call. Reitz and Ozzie vacuuming anything that came their way. MVPs Boyer,Cepeda, Gibby, Torre, Hernandez, McGee and someone named Pujols. Skippers Keane…Red…Whitey…Tony and now Matheny. 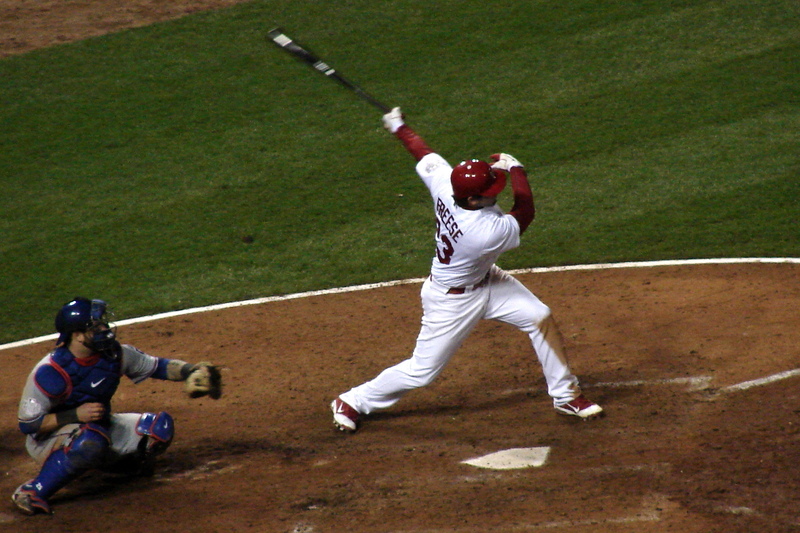 McGwire making history…Edmonds catching everything. 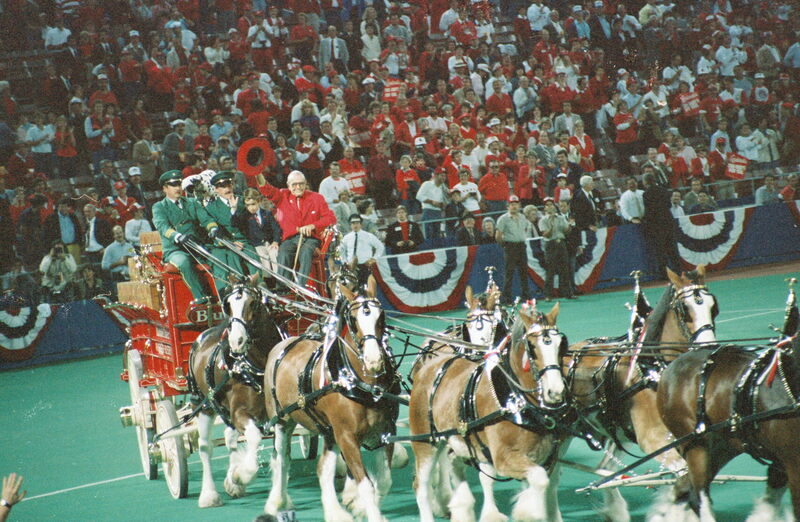 And the unforgettable calls by Harry Caray and Jack Buck, with John Rooney and Joe Buck adding their own wisdom…and a “Shannon-ism” that makes us smile…”Holy Cow”…”That’s a Winner”! Great games…names…and memories. But none as great as Blake, Drew and Tyler…and of course, my love Diana. Maybe the corn field is missing. And there is no “Magical white line” to step across. But…it is as if the red threads that are stitched on the baseball to hold the leather panels together, are also used to hold together our memories and lives in an exciting and beautifully poetic fashion…spending time together…sharing a field of dreams…a field of memories. It’s the time of my life. A slice of Heaven on Earth. Hope you enjoy it like I have. I have to admit, I’ve never been a baseball fan… but I’m thrilled that you have so many happy memories and I love the photos of your family. Thank you so much for sharing and taking us into your field of dreams. Thank you Currie…we all have our field of dreams…baseball fan or not! Enjoy, I am. Living in Cedar Rapids for 30 years, I’ve taken my family to The Field of Dreams – but the real field of dreams for me now, is any where they are and I’m with them – too rare these days. You have characterized it well! Nice read. 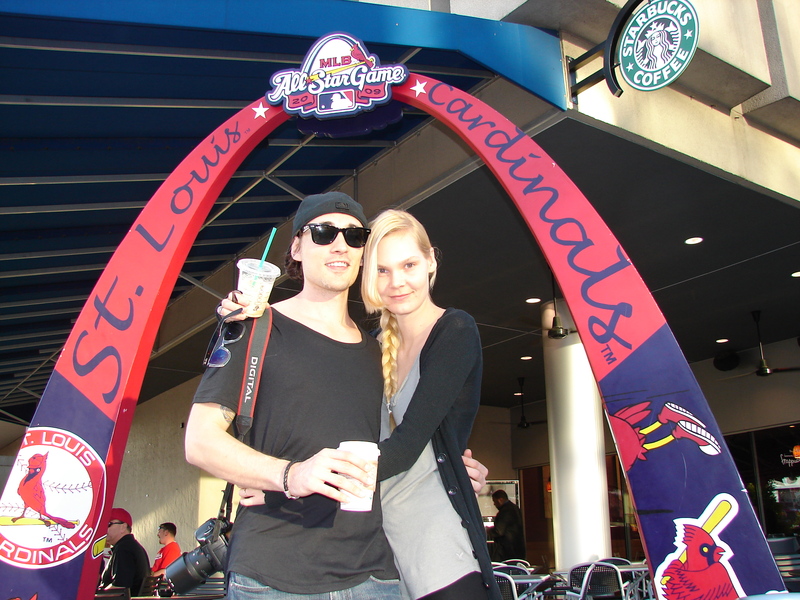 My daughter and I attended the Cardinals 2011 Game Seven together and we are still talking about the memories. 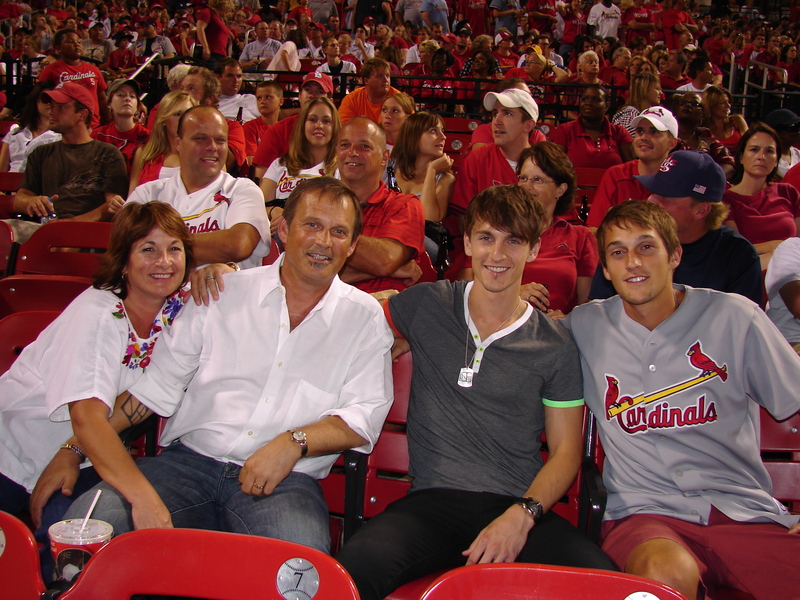 In fact, all of my children and my husband and I have all kinds of family stories around baseball. It is amazing how it brings folks together. Thanks for sharing!